1). 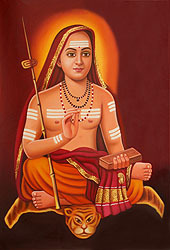 He should have the desire to perform the Vedic Karma (in order to obtain the desired fruits). 2). He should be competent to perform the Karma. 3). He should understand the secret behind the Karma (Karma Rahasya). 4). He should not be prohibited by the scriptures against performing that particular Karma. Going further, the science of ‘Moksha’, or liberation, better known as Vedanta too requires a qualified seeker to attain full benefit from it. Only the one who is qualified for it can attain Moksha. However, only a very few people are interested in Moksha, because the majority of us live under the illusion that happiness is the result of fulfilling worldly desires, while Moksha is something which has no trace of ‘wordliness’ in it, and this is what frightens us, making us believe that Moksha is not our cup of tea at all. What is needed for preparing the requisite ground entitling us to the study of Vedanta? Is it necessary to have performed Vedic rituals, or to have made an enquiry into the nature of Dharma (Dharma Jijnansa)? To all these questions Bhagavan Shankaracharya answers an unequivocal ‘No’. However, another set of qualifications is emphasized by him, which is both sufficient and necessary. This is known as ‘Sadhan Chatushtaya’, or the four-fold wealth of Sadhana (spiritual practice). It must be remembered here that acquiring this four fold wealth is extremely difficult because it depends upon the continuity of purifying Karmas performed by the seeker in his past lives. The Bhagavad Gita says: ‘One cannot transcend Karma, without performing Karma’ (3.4). 1). The ability to discriminate between that which is permanent and that which is impermanent (Nitya-Anitya-Vastu-Viveka). 2). Non-Attachment to the fruits of actions, in this world and the next (Iha-Amutra-Phala-Bhoga-Vairagya). 3). The Six Virtues like control of mind etc (Shata-Sampatti). 4). A sustained desire to achieve Moksha (Mumukshutva). Viveka is the human ability to accept what is conclusively decided to be right, rejecting that which is identified as wrong after a proper analysis. What exactly is the nature of the Viveka which is required for pursuing (attaining) Moksha? Indeed Moksha is a state of permanent, untainted, and unparalleled Ananda-Happiness. But the happiness derived from this world is not so. It is in fact the exact opposite, being momentary, tainted with many faults, meager and limited. This is obvious because this happiness is dependent on worldly objects which are by nature non-permanent. How can a permanent state of happiness be derived from a non-permanent object? Not only this, we all know that to derive pleasure, there needs to be a contact between the sense organs and the object in question. Therefore, there is an amount of effort required in this engagement which eventually leads to exhaustion and hence the joy gained is not long lasting. Further, the pleasure does not persist all the time even when such a contact is in place. Only God knows His own Lila that the pleasure gained from the contact between a sense organ and an object sustains only for a limited period of time. Indeed, desire for an object seems to disappear when it is fulfilled and the fulfillment also disappears before long. Even then, the fulfilled desire does not reappear for a long time. Therefore, the seeker of Moksha comes to the firm conclusion that everything in this world is non-permanent. Keeping this always in mind, the seeker drops the craving for anything which is fleeting. The Vedas state that only Brahman is permanent. One should always remember this. Gradually then there takes place a detachment from the impermanent and attachment towards that which is permanent. This is the discriminative understanding known as Nitya-Anitya-Vastu-Viveka. Such a discrimination can never surface in one who is sinful in thought and deed. The Gita says: ‘Only those whose sins have been terminated by virtuous deeds are able to worship and pursue me firmly’ (7.28). This is Krishna’s own voice. Hence it is clear that such a discriminating faculty is found only in those who have obtained the grace (Kripa) of God through virtuous deeds (Punya Karma). Therefore, an aspirant should invoke the grace of God through Punya-Karma and through direct contact with saints and sages, Mahatmas who are already blessed with such a grace. A deer can be caught by enticing it with sweet sounds like those of a flute. Upon hearing the flute, the deer stands motionless, entranced; an elephant, during the mating season, is easily lured by the touch of a female elephant; a moth is attracted to the light of a flame not knowing that if it falls into it it will burn; a fisherman baits a hook, and a bee is attracted to the odor of a flower. Each of these creatures gets into a death trap due to attachment to a single sense object. What then can be said about humans who hanker after not one but five sense objects? Without the ability to discriminate between what is permanent and what is transient, believing sensory pleasures to be paramount, man has become a beast. ‘After the Punya is exhausted they fall again from the heavens into the world of mortals’ (9.21). Therefore, the seeker of Moksha should not strive for more than what is sufficient to sustain his life. Vairāgya matures to this state only when one lives with minimum possessions. This is the true meaning of detachment, which is defined as the mental state of giving up everything by one’s own choice. To achieve any aim in life, it is very important to remove the mind from its objects of desire and fix it unmovingly on the aim. This firmness of the mind is Shama. Controlling the outer senses is known as Dama. The seeker of Moksha should, while increasing his sense perception of God, constantly and forcefully prevent his organs of knowledge like the eyes (Jnana Indriyas) and organs of action like speech (Karma Indriyas) from indulging in their objects of desire. This is what constitutes Dama. It is only after Dama is perfected that Shama can be attained. It is through the sense organs that we enjoy an object. It is by Karma that we are able to acquire the desired sense objects. Therefore, the one who always hankers after sensory enjoyment is constantly involved only in performing actions (Gita 2.70). Contrary to this, the aspirant of Moksha withdraws from Karma and revels in God. This is knows as Uparati. On account of this feeling in his mind, the aspirant of Moksha ultimately becomes a Sannayasi (ascetic). Man suffers from three types of pains. This is called ‘Tapa-traya’ (three-fold pain). On account of the body there is the ‘Adhyatmika-tapa’ in the mind. Natural causes like rain, sun etc. cause ‘Adhidaivika-tapa’. Scorpions, tigers etc. are the source of ‘Adhibhautika–tapa’. These all happen according to one’s previous actions (Prarabdha Karma). Commonly man tries to escape from them. When he is unable to do so, he begins to hate them. This is but natural. However the aspirant of Moksha does not view them with hatred. 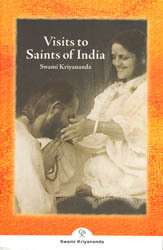 He endures them while progressing in the direction of his spiritual practice towards Moksha. This type of endurance is known as Titiksha. e). Faith (Shraddha): To understand this we need to keep two things in mind. Firstly, the nature of Moksha cannot be inferred using our own minds because it is beyond our mental faculties. Therefore it has to be known through the Vedas only. Secondly,no one, no matter how talented or qualified he or she may be, it is impossible to study the Vedas on one’s own. The Vedas can be understood only with the help of a Guru. Hence, for the seeker of Moksha, there is no way other than the Guru and the Vedas. Keeping this in mind, we should have complete faith in the words of both the Vedas and our Guru. This faith is known as Shraddha. The word itself is made of two components: Shrat mean truth, and Dha, means bearing it. Therefore, the faith necessary for bearing the truth is known as Shraddha. 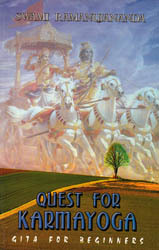 The Gita says: ‘shraddhavan labhate jnanam’ (4.39) - A man of faith can attain knowledge. Samadhana means keeping the mind in balanced concentration (sama-dhana). In what? In God and Guru. Generally it is seen that people behave only in such a manner that vitiates the mind. But contact with God or the Guru is of the opposite nature. These kinds of contacts divert the mind from the passions occupying it and the resulting concentration provides him peace. The equanimity of the mind obtained from fixing it on God and Guru is known as Samadhana. Generally human existence is plagued with miseries only. Unable to face them, some unwise people commit suicide. They think that by doing so they will gain eternal freedom from miseries. Nothing could be far from the truth. Their suicide rather than ending their miseries becomes a source of even more grief. This is because our present suffering is a result of our misdeeds either in this birth or the previous ones. Ending our body without first annihilating our sins by undergoing the miseries confronting us, is to act like the prisoner who escapes from prison without first completing his full term. His sentence is increased even more. Thus suicide leads to even more miseries. Hence the fulfillment of human life lies in maintaining faith in Dharma while facing life’s miseries. Keeping this in his mind, the seeker with an intense desire for salvation (Mumukshu), realizing that in essence this world is but misery only, transfers his attention from the world to Moksha. Moksha is nothing but complete freedom from all bondages and miseries. This is not like the heavens (Swarga) we gain after death. Nor is it impermanent like Swarga. Moksha is attainable while living itself. It is permanent, and should be obtained by discriminating between the permanent and the transient, detachment, control of the mind etc. and listening to Vedanta from the mouth of an authorized Guru. This article is based almost entirely on the teachings of Param Pujya Swami Paramanand Bharati Ji. However, any errors are entirely the author's own. Thank you for the Article. It's very interesting, informative and very useful and most of all very enlightening. Thank you for your article. So lovely and so true! Blessings to you in your continued success. What a wonderful article about karma, akarma kartrtva, the essence of vedanta etc! Moksha is nothing but the knowledge that we are Brahman, and hence get rid of the kartrtva, and who is better than the Acharya of Acharyars, Sri Sankara to interpret srutis? Thanks a ton for sharing the article.